NEW YORK (WABC) -- On October 31, 2015, ABC7NY aired "Countdown to the Starting Line," a half hour special previewing the 2015 TCS NYC Marathon. Below, you can watch the show- and find links and resources featured in it. 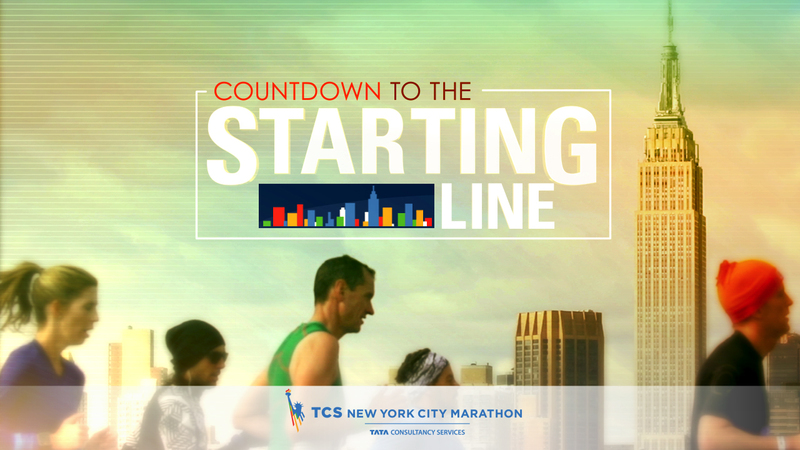 Watch Countdown to the Starting Line: a preview special for the 2015 TCS NYC Marathon. Watch part two of our half hour special previewing the 2015 TCS NYC Marathon. Watch our special half hour preview of the 2015 TCS NYC Marathon. Watch the final segment of our special half hour. Place the spinach and lettuce in a salad bowl. Core and slice the apples. Add to the lettuce; toss in the walnuts. In a small bowl, blend the yogurt, honey, coriander, ginger and tumeric. Toss with the salad. Serve immediately. - If you are looking for a delicious sandwich idea, take two slices of whole-wheat bread and spread with peanut butter; top with thin slices of apple and slices of cheese; toast in a toaster oven until the cheese melts. For more apple recipes, visit www.nyapplecountry.com.